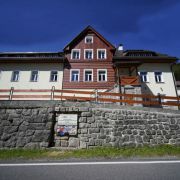 Comfortable mountain apartments with large garden by the piste, ideal for families with children. Each apartment … More » has a living room with fully equipped kitchen (dishwasher etc.) and 1 or 2 bedrooms, most of apartments with balcony. 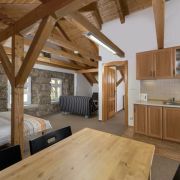 Ski/bike room, parking, WiFi, no pets, non-smoking. 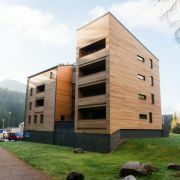 Modern apartments in the center of Bedrichov, close to ski resort. Fully equipped apartments with kitchenette, … More » wi-fi and batheroom. Cross-country skiing and cycling trails go near the house. Playground directly at the cottage. 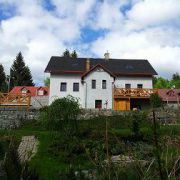 New built family guest-house with 30 beds is situated in center of Bedrichov, near the centre of ski resort, biking … More » and hiking trails. Good transportation to Liberec and Jablonec nad Nisou. 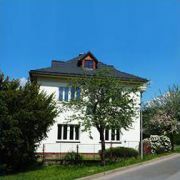 We also offer accommodation in Guest-house Eva I. with 60 beds. 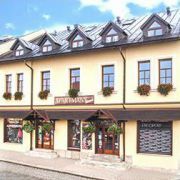 We offer accommodation in rooms and family apartments in Harrachov, in the beautiful and quiet part Hrebenka, near … More » the centre and ski area Certova hora. Wi-Fi Internet, TV/sat. 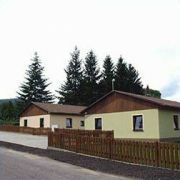 The accommodation is furnished for families with children (also with babies). 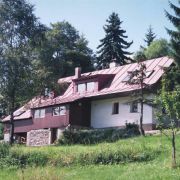 Family guest house with covered swimming pool 8x3m in Hrabetice/Severak in Jizera mountains. 5 apartments with … More » kitchen each with sanitary facility, TV and Wifi. Parking by the house. Common room. 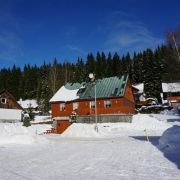 Ski resort Severák 200m, Jizera mountains artery, cycling routes 50m. Terrace with barbecue. 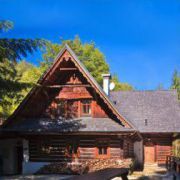 Accommodation in apartments with 2-6 beds at the quiet place in Harrachov about 350m from the chair lift at mountain … More » Cerna hora. Object is ideal for families with children (play room, children’s playground, outdoor swimming pool, fire place…) wi-fi internet, TV, SAT, parking by the object. Pension and apartments in Bedřichov. 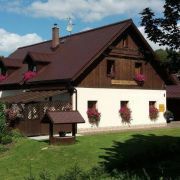 Mountain cottage is situated in the recreation centre of Jizerské mountains … More » near slopes, ski country cross trails, bike and tourism trails. It is ideal for whole year activities: family recreations, companies meetings. 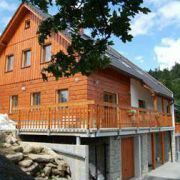 Accommodation in lucrative, quiet part of Harrachov, 4 rooms (4,3,3,2 beds), each with bathroom, TV+SAT. Shared … More » kitchen with dining room, ski room with boot dryer. Parking by the house and free WiFi. Ideal for 2-3 families. 400m from skiarea Certova hora, 10 min. from the centre. 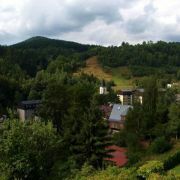 We offer two new, modern apartments for 4-6 persons in a new residential house in a beautiful part of resort Harrachov … More » , in a quiet location by the forest. Apartment (3 beds) - living room, with its own entrance, kitchen for food preparation with large balcony in family … More » house in village Desná, on the slopes of Jizera mountains. 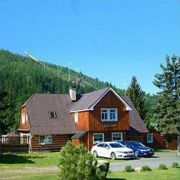 Suitable for winter and summer tourism - Jizerské Mountains. Stylish apartments with pleasant stone-wood-metal style. Very spacious, modern equipped. 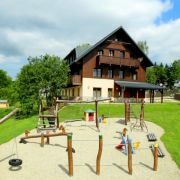 Garden, playground, lounge … More » , lounge, children's corner and facilities for children. Near ski area. Parking and internet access. 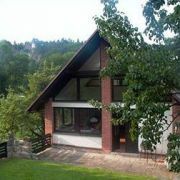 Ideal for groups - you can rent the whole house!